$18.50 per person for 1 hour of indoor rock climbing including time in the parkour and ninja arena. Click here for detailed pricing information! Indoor rock climbing and parkour ninja sessions start on the hour. Please ensure you are 10 minutes early to checkin at reception. Safety briefings commence on the hour. Please wear closed in shoes with no open toes and either shorts or pants for harnessed attractions. Auto belay system, no buddy required for roping however parent assistance is required if your child is under the age of 13 years and unable to put on the harness and lock in the latches on their own. 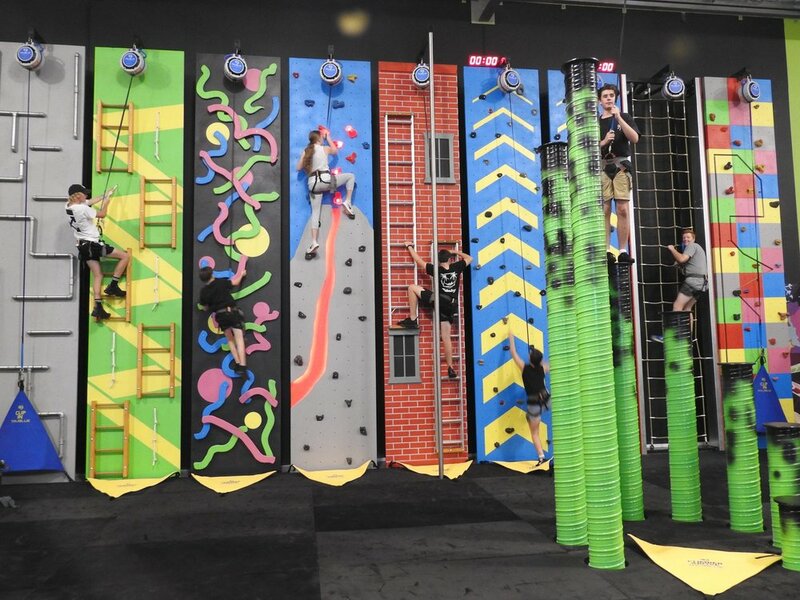 We recommend a minimum age of 4 minimum of 15 kilograms and 1 metre in height for casual indoor rock climbing and parkour ninja and all other attractions 7 years and over. Maximum kilograms is 114 kg. Adults are more than welcome to climb. Children under 4 are not permitted to free roam in the climbing, parkour and ninja area. Parents will be asked to remove these children due to safety reasons. The Simulation Centre brings you the world's most innovative, advanced and safest indoor rock climbing walls. The Simulation Centre's climbing walls feature fail safe hydraulic auto belays which means no climbing buddy for roping is needed. 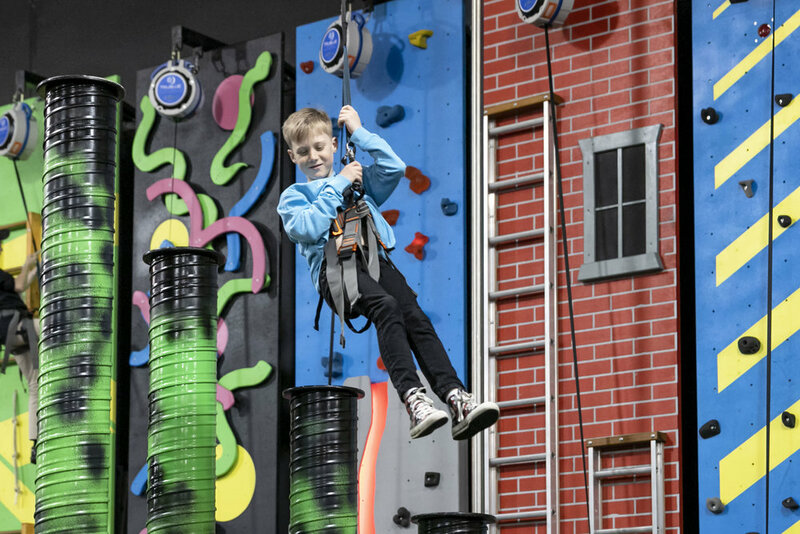 Challenge yourself on our themed indoor rock climbing walls such as the Fireman's Ladder, Spaghetti, The Maze, The Rocket Ship, and the Leap of Faith and more.